Sometimes carving pumpkins for Halloween can seem a bit over-whelming. 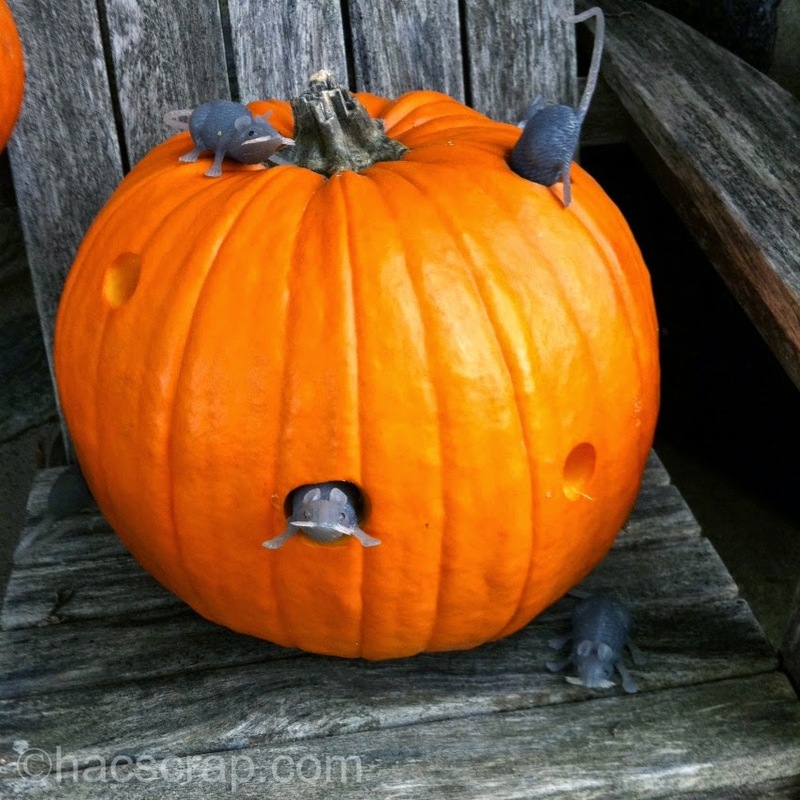 For years now, besides our one carved pumpkin, The kids and I make a rat-infested pumpkin to display Halloween Night as well. 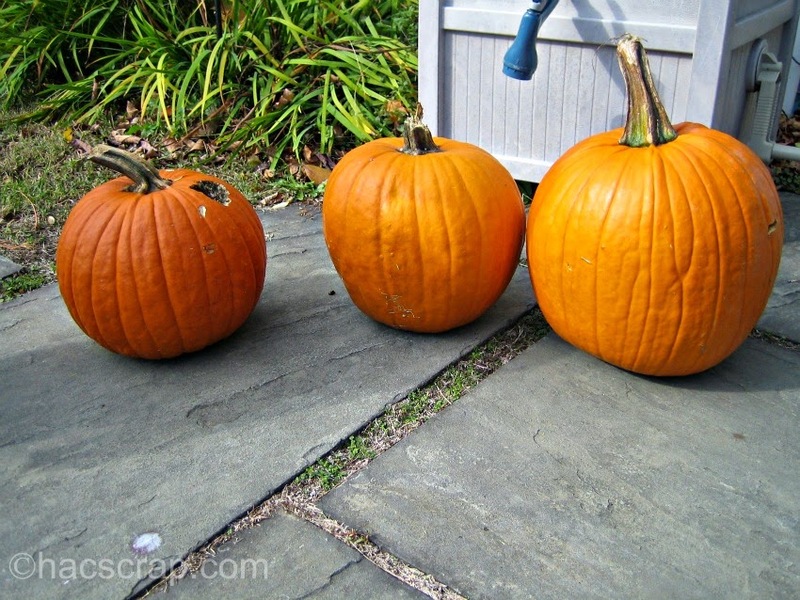 All you need is a great shaped pumpkin - you can make it big, small, oblong, round . . .whatever. You could even nest 2-3 together. You'll need a tool to punch or drill holes into the pumpkin. A Drill with a wide bit will work, my carving kit came with a circle puncher, so I use that to punch out circle plugs of pumpkin (it works almost like a corer). I have to widen the holes a little bit so my rubber rats fit. I found rubber rats at the Party store. I wanted ones that looked realistic. Then you just arrange it. Have some of the rats digging in, some coming out, leaning against it, on top - whatever suits your fancy. Our trick-or-treaters always comment on these no-carve pumpkins, no matter how fancy my carved pumpkin is! 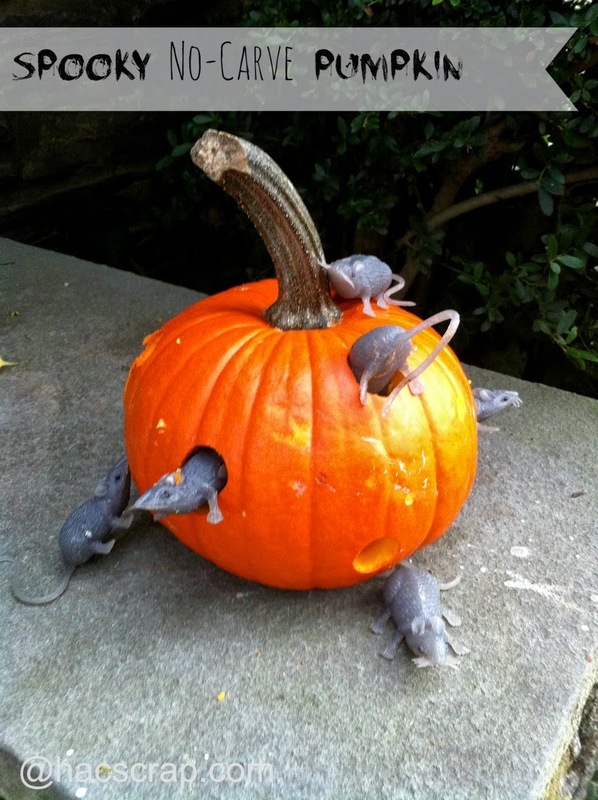 Once Halloween is over, I pull out the rats for next year and leave the pumpkin for the squirrels to enjoy. What a great idea! I'm all about the no-carve pumpkins. More fun and less mess! !